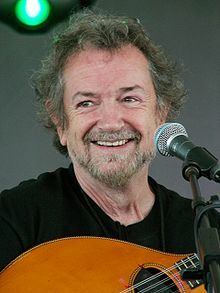 There is considerable interest in the unique Andy Irvine concert which will take place as part of the Cork Mother Jones Festival on Wednesday, 1st August in Cork’s historic Shandon Church, starting at 8.30pm. This is the first time Shandon has hosted an event of its type and Andy Irvine is proving to be a very popular choice with heavy demand for tickets. If you want to see Andy perform in Shandon you will need to act fast. Tickets are still available on http://www.tickets.ie at this link and a small number are also available at the Maldron Hotel, John Redmond Street. Price is just €10. The Mother Jones committee also have some tickets, for details ring Ger on (086) 3196063. The concert will begin at 8.30pm, immediately after the unveiling of the Mother Jones commemorative plaque at John Redmond Street. We would ask all those attending to ensure they take their seats as soon as possible once the unveiling ceremony is complete. A reminder also that on the same evening there will be a live session in the Maldron Hotel with a selection of local musicians and other performers. There will be no admittance fee to the Maldron event which will begin at 9.30pm.